It's getting hot in Miami again! :) For the past few days I have really felt the heat.. and the air in my car broke :/ Which I plan on fixing asap! 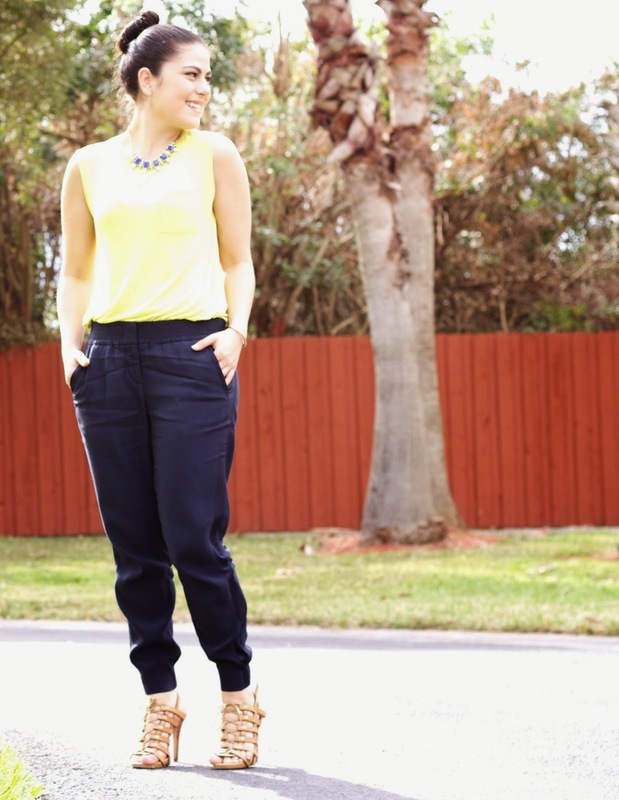 So I opted on wearing a bright lime green sleeveless top with these very comfortable yet chic navy joggers. As women we all have insecurities and mine are my arms. I have been trying to hit the gym as often as I can and trying new things to lean and tone up my arms.. (its a process I know) I just wish my arms were thinner. With that said I actually don't like to wear sleeveless top, but it is summer and I am so hot that I try and ignore my insecurity. My point it is it's okay to feel insecure but it's not okay to let it consume you. Try and find a balance I am sure you will look fabulous not to mention chic!